We now live in a new age, in the Internet age. This tells us more than we think at first glance. To get understand what we mean, all anyone has to do is open a social network post that has gone viral and check out the comments. What is to be found there will shock and amaze anyone who is not familiar with this age. We are talking about the memes, of course. Today, the Internet and the connectivity of the people by social networks and chatting and instant messaging apps have actually created a new language which is quite expressive and graphical. Today, responses and comments can and are made by pics and memes, adding a whole new dimension of expression. 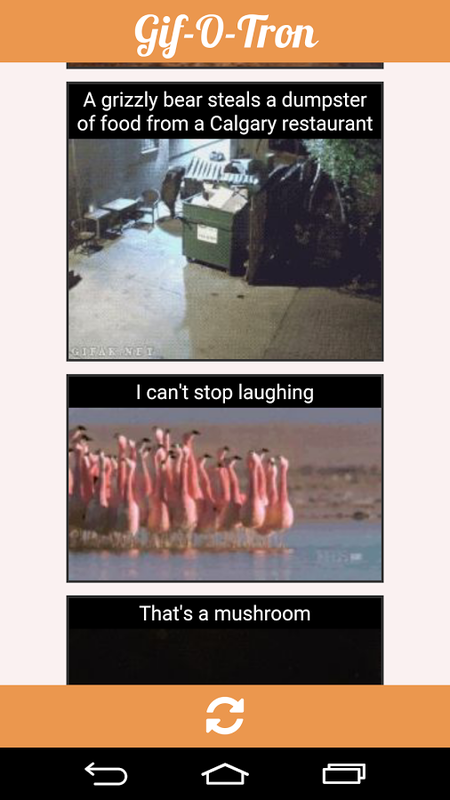 We introduct Gif-O-Tron, a meme database and editor app that is supports a user who wants to express himself or herself with a meme on Android Smartphones. First and foremost, Gif-O-Tron is a meme database, a huge collection of memes of all kinds, types and shapes. The user of this app is bound to find anything as the collection is really quite large and is updated automatically over the Internet. In addition, the memes are divided into sections such as WTF, OMG etc. The interface of Gif-O-Tron is professional and well designed to allow easy finding of any memes the user searches and then easy integration into whatever social network or communications app the user wants. It is a great way to express yourself, whatever meaning or feeling you want to project. We must not forget to mention that the sheer diversity of the memes and their nature makes browsing through them just for fun a truly funny experience, as the strange profile pics, celebrity mug shots and pet captured images are truly an experience in humor by themselves. To be part of the scene today, one must talk the lingo. In other words, if you don't have the correct meme and can insert it NOW into the desired comment, someone else will beat you to it or the original post will lost its appeal and audience. 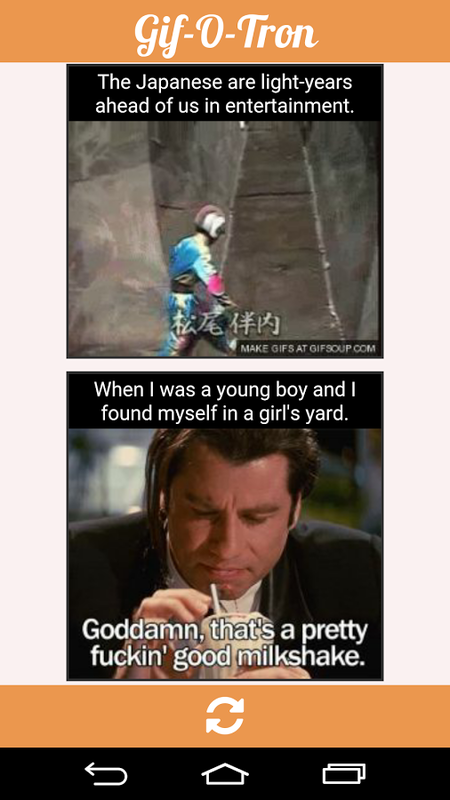 Gif-O-Tron is a neat solution to this problem, bringing and using the right meme at the right time.